The Federal Government’s announcement of a commitment to a continuous shipbuilding plan for the Royal Australian Navy’s surface fleet has been welcomed by a plethora of manufacturing organisations and unions that have advocated for a continuous build strategy for years. 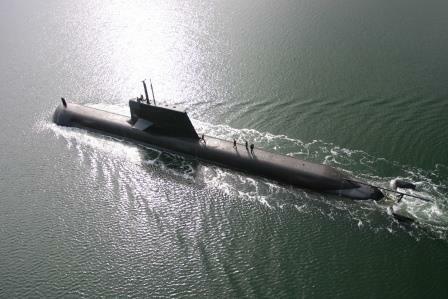 Premier Tony Abbott yesterday said the Government will invest over $89 billion in ships and submarines for the Navy over the next 20 years, which will help generate significant economic growth and sustain several thousand Australian jobs over the coming decades. Shipbuilder BAE Systems said the announcement will lead to the retention of a highly skilled workforce and higher levels of productivity. “We look forward to engaging with the Federal Government so we can better understand the implications this will have for our shipbuilding operations in Australia and the contribution we can potentially make as this country’s leading naval shipbuilding prime contractor,” said BAE Systems Australia’s Acting Chief Executive, Glynn Phillips. The Chairman of the Australian Advanced Manufacturing Council (AAMC), Mr John Pollaers, called the Government’s announcement a “historic commitment” that will ensure continuity of workforce and skills and help sustain industrial scale and efficiencies in the sector. “For many of the 2500 Australian advanced manufacturers already establishing themselves on the global stage, this will be excellent news,” Mr Pollaers said. The AMWU – which represents shipbuilders across Australia – has cautiously welcomed yesterday’s announcement, saying it had serious concerns that it might be a political stunt designed to shore up the “disastrous standing” of Liberal MPs and Senators in South Australia. “We are concerned to ensure this isn’t a déjà vu of shipbuilding promises,” said AMWU Assistant National Secretary Glenn Thompson.